We woke up to the mellifluous chimes of the nearby temple bells. It is Shivratri today. The devotees have started visiting the ancient temple under a more than 100 year old Banyan Tree. One peep outside the window confirms a bright day. The hills show clearly against the orange sky. The Sun is about to rise. Good weather infuses verve and enthusiasm into life and even ordinary chores seem so exciting. My daughter gestures me to stop. She points at the bird bath. 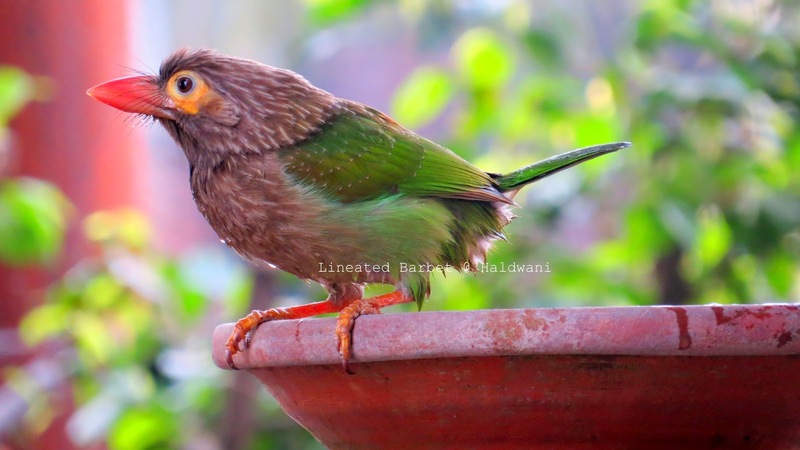 A Brown Headed Barbet is perched on the stone slab. She looks around to assure that that there is no danger before she plunges into the water, splashing it all around. She comes out and then goes in again. We enjoy her antics till she has her fill and flies to the branch of Magnolia tree and begins to preen herself. There is some buttermilk in the refrigerator. I purposely reserved it for bread. 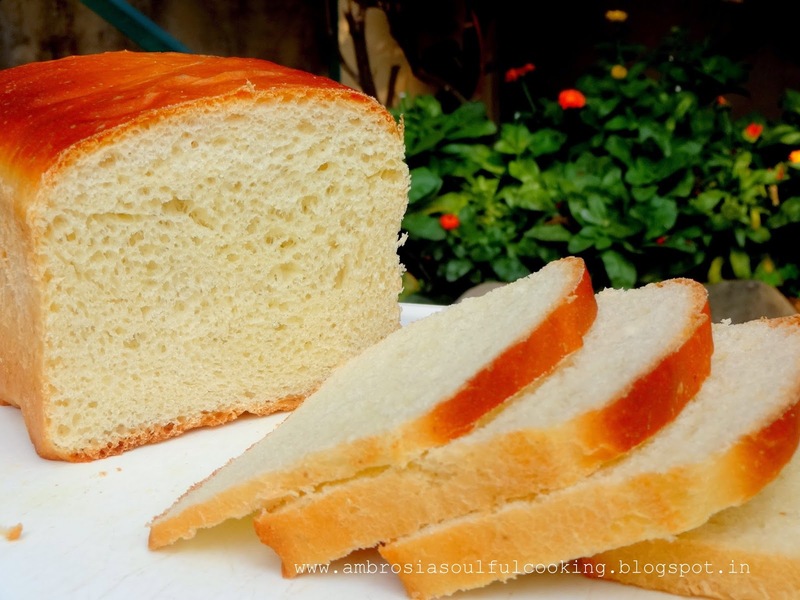 The weather is warm and perfect to bake a Bread. The much awaited Buttermilk bread is being baked for dinner. 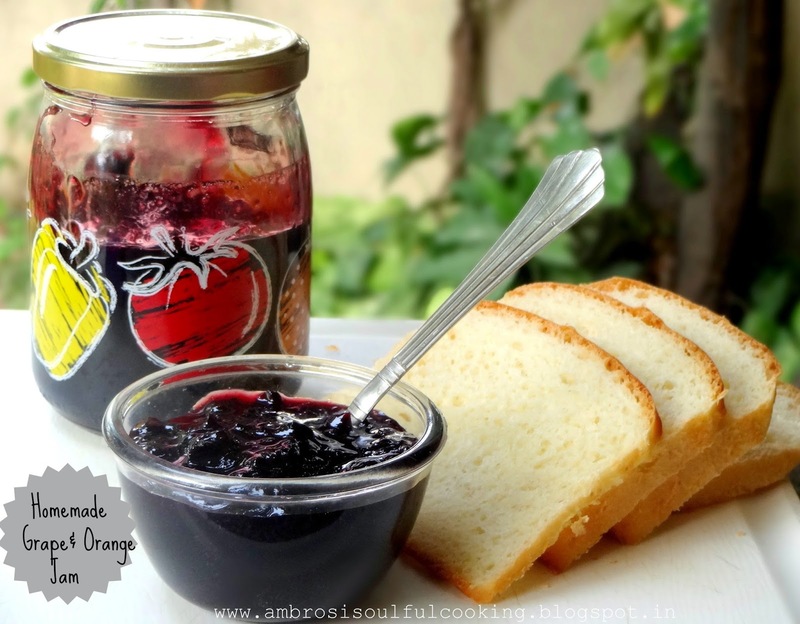 One slice with Black Grape and Orange Jam in the end would be the perfect way to a simple dinner. Scald the buttermilk. It will begin to curdle. Add butter, sugar and salt. Stir. Let it rest till lukewarm. Add yeast to warm water, stir. Add it to lukewarm buttermilk mix. Whisk together flour and soda. Add flour to wet ingredients. Stir till thoroughly mixed and you get a shaggy dough. Transfer the dough to a floured counter and knead for about 5 to 6 minutes. The dough should become really soft and supple. Transfer the dough to an oiled bowl. Turn the dough so that it is coated with oil on all sides. Cover with a kitchen towel and keep in a warm place until it doubles in size. Punch the dough and knead for another 2 to 4 minutes. Shape into a loaf. Place it into a 8 ½ inch x 4 ½ inch greased loaf tin. Cover and keep it to rise for another one hour or until doubled. Bake in a preheated oven at 190 degrees C for 30 -35 minutes till the top turns brown and the pan sounds hollow when tapped at the bottom. Tent with a foil if the bread browns too early. Remove from the oven. Remove from the pan after 10 minutes. Cool in the rack. Slice next day. Hello Saloni, Thank you for the lovely words ..you made me smile :). You may use desi chaas as well as buttermilk made by adding 1 tablespoon of lemon juice or white vinegar to 1 cup of milk. Both work well. 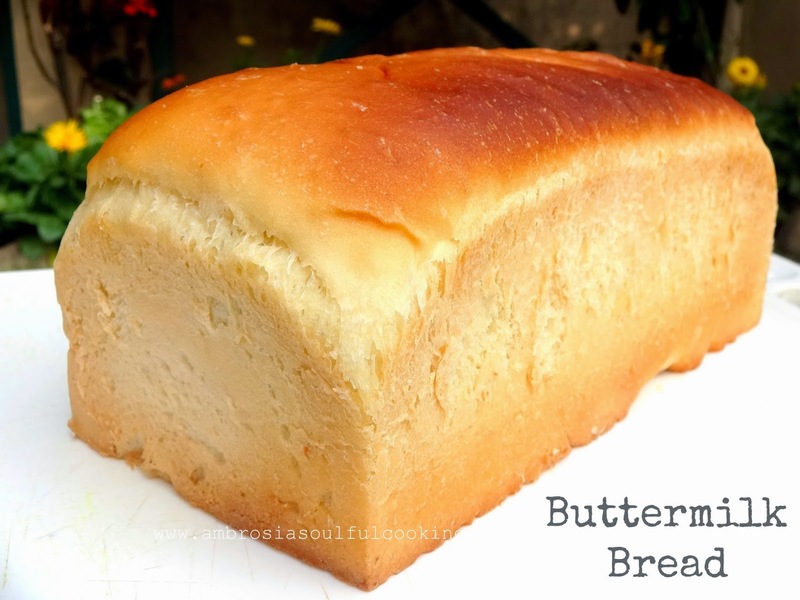 Do try out this bread. You'll love it! Lovely B's (birds and breads). One question,how do you know all their names? Hello Abha, Nice to hear from you. Breads and Birds - both are my passion. 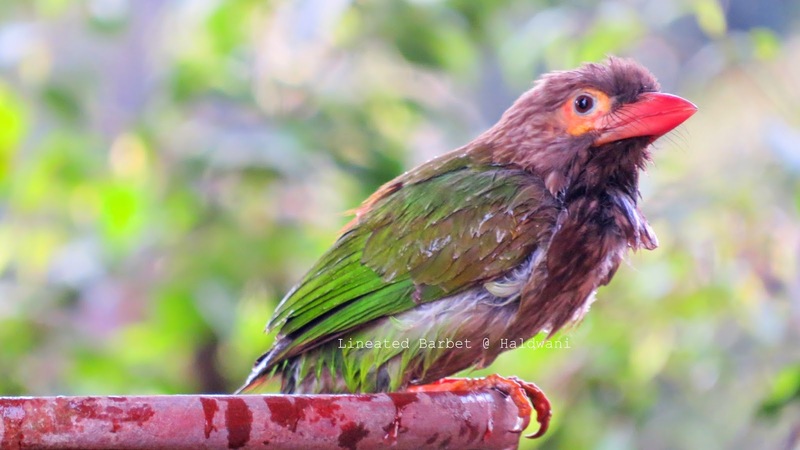 Living in the countryside, we have seen different species of birds in different time of the year. We have a kitchen garden with lot of trees and this is where most of the birdwatching happens. 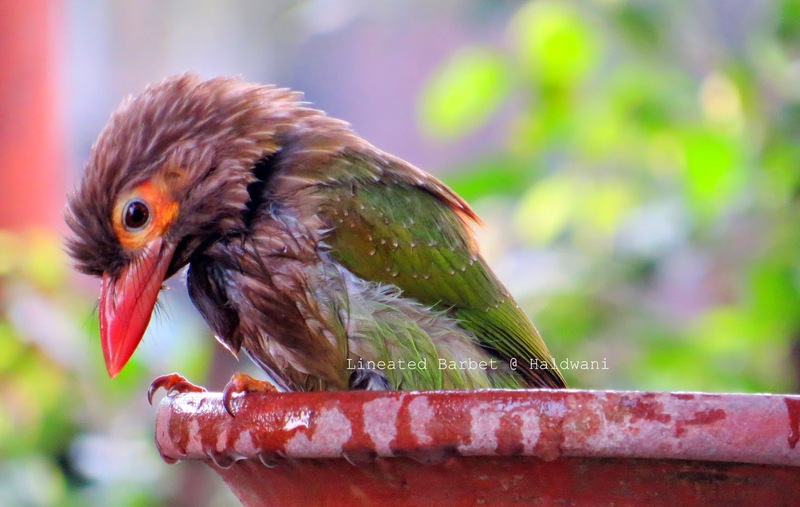 Our bird bath also attracts a lot of birds. Hello Agnes, A big thank you for visiting my blog and for the kind words. Friends like you make all the effort of trying out recipes, writing, assembling and blogging worth it. Yes Agnes, forest cafe is my pipe dream.....It will be born one day I guess! Thanks for your good wishes! Made this bread with a dash of garlic and rosemary..loved it. The buttermilk gives it that soft texture. Will make this bread again. Thank you.